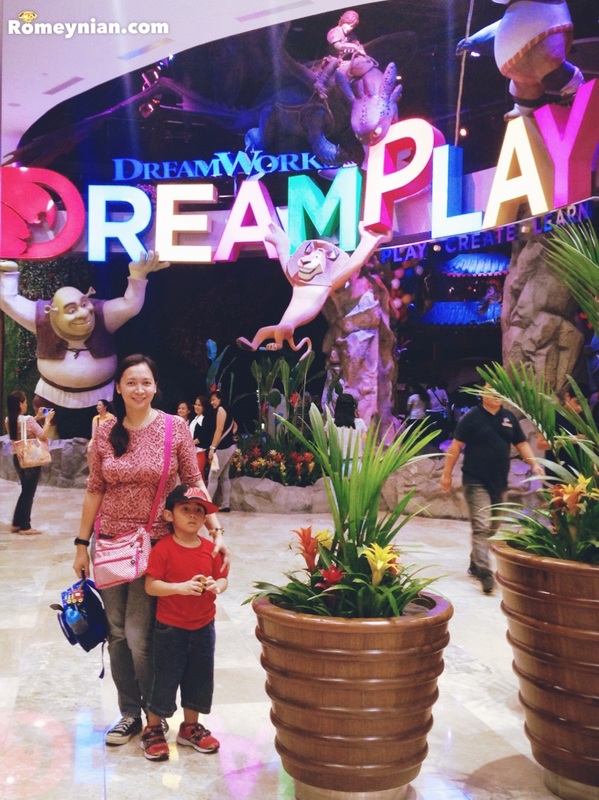 We recently visited Dreamplay in City of Dreams Manila. Their entrance fee / admission rate is not pricey at all. 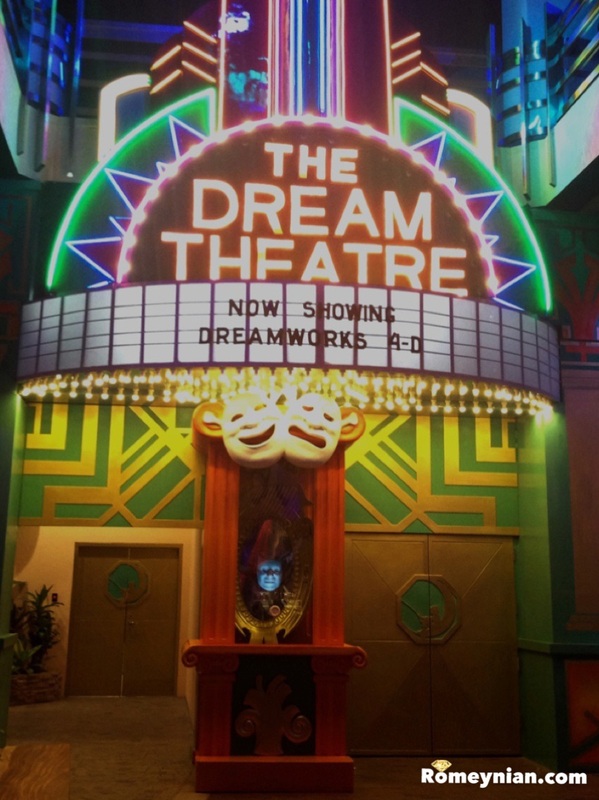 DreamPlay is an interactive entertainment concept where you get to experience Kungfu Panda, Shrek, How to train your dragon, Madagascar, and other Dreamworks activity. 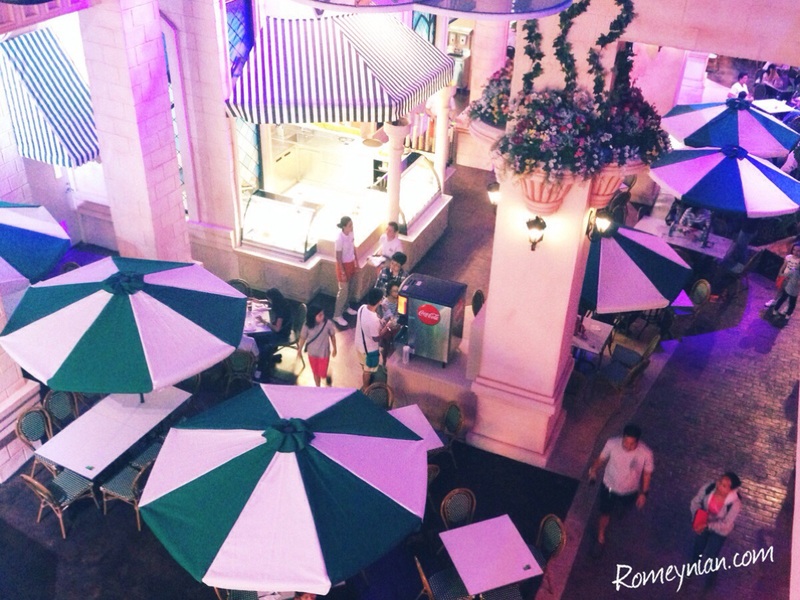 It’s like a Mini-Universal Studio as my sister said it. On the blessing side, we got Gab’s ticket for FREE! There was this kind girl who approached us and gave us her 4 hour ticket for FREE! Thank you again Miss. I wasn’t able to get your name. 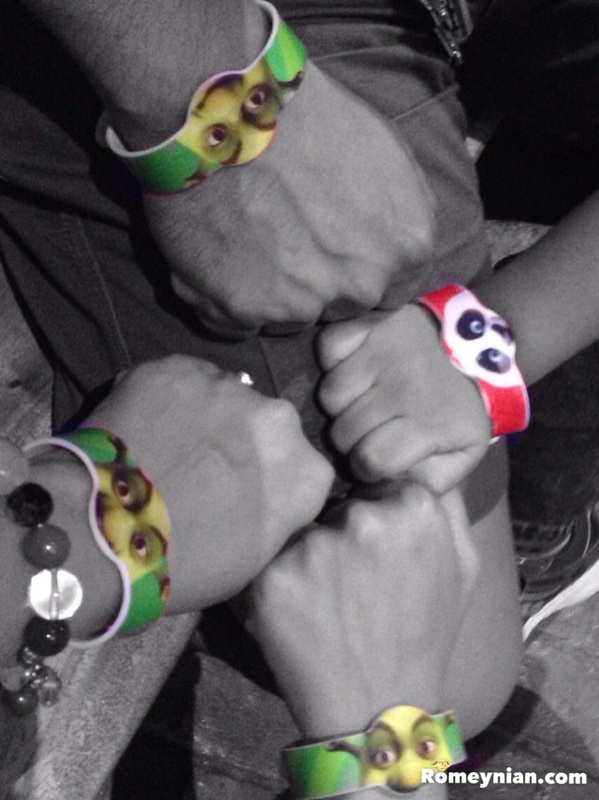 Ultimately, thank you God. 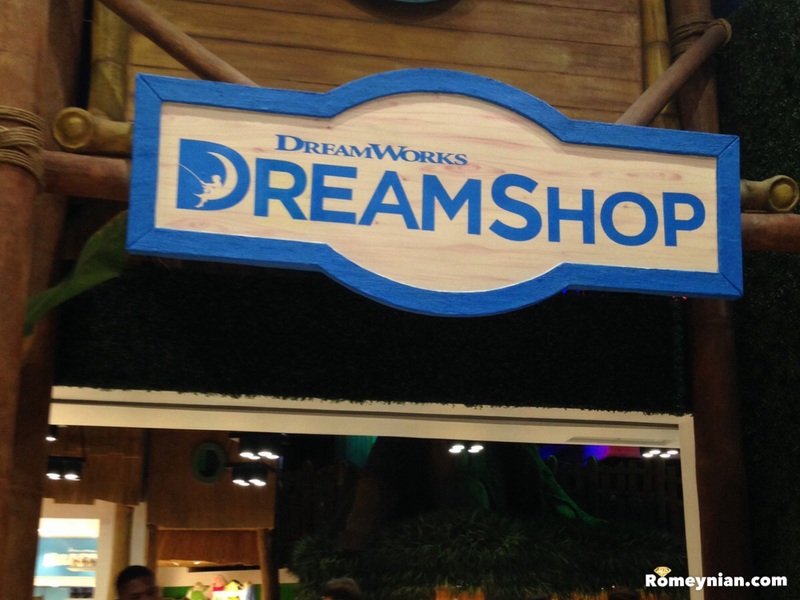 Here’s the most important rule of Dreamplay which everyone should know before going there! “NO CHILD NO ENTRY.” Yes you read it right! “Children” is defined as 100cm up to 17years old. *Take note of the dress code so you can participate in the activities. A closer look at the admission rates. 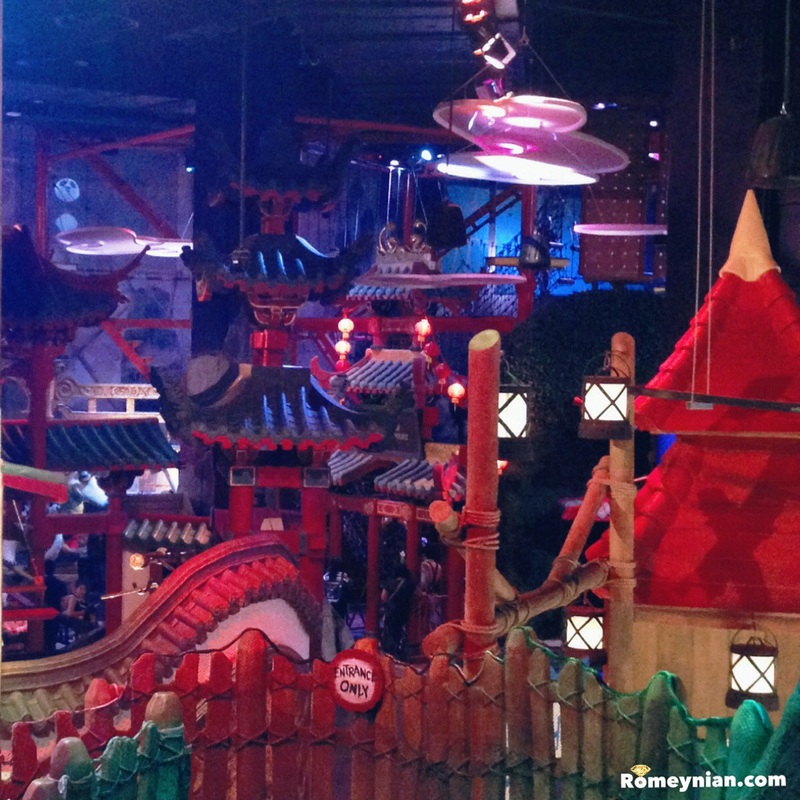 The Children Rate entitles the child to participate in ALL the attraction. 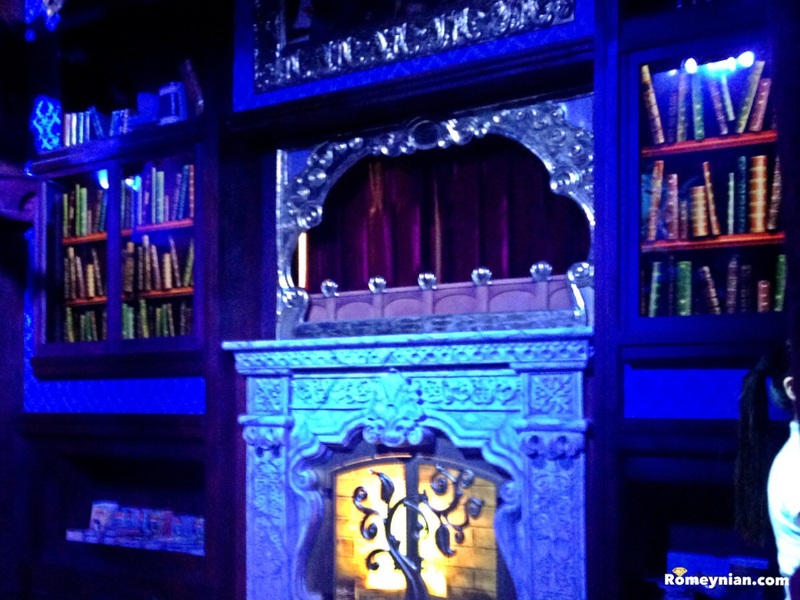 The Adult Rate entitles the adult to DreamTales Library and Dream Theater. 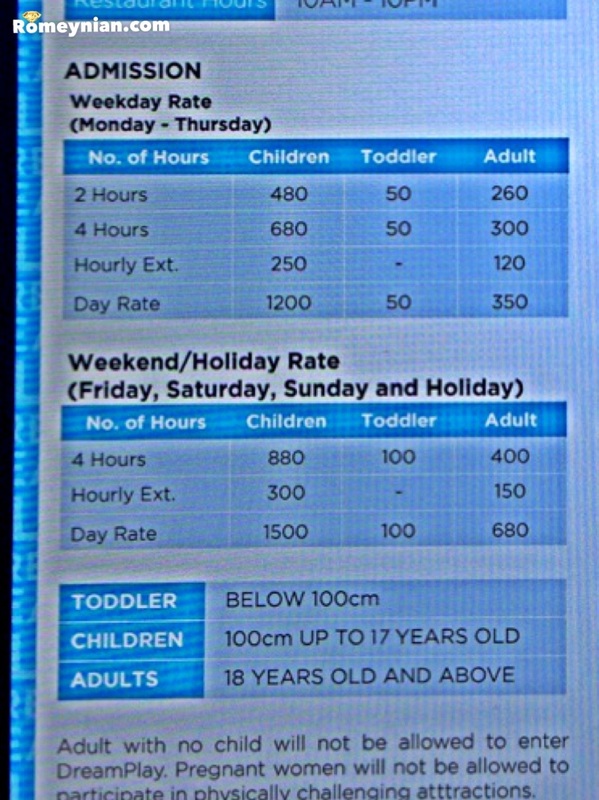 If an adult (18 years old and above) want to participate in ALL the attractions/activities, they have to pay the Children Rate. 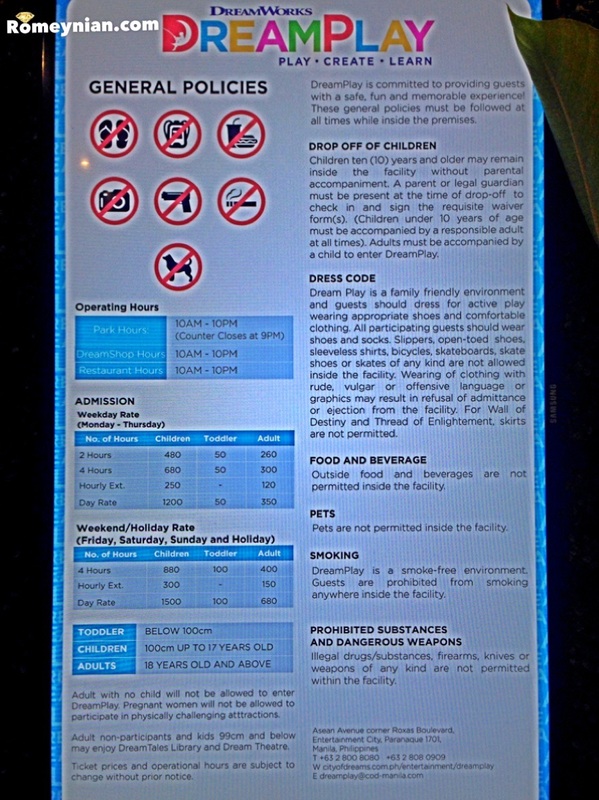 If you pay the adult rate and you later decided that you want to particate in all the attraction/activities you can upgrade to the CHILDREN RATE at the checkout counter. Be mindful of your time because they charge per hour for the extension. So if you pay for 2 hours you cannot upgrade to 4 hours. You have to pay the hourly rate instead. In our case we chose the 2 hour adult rate. 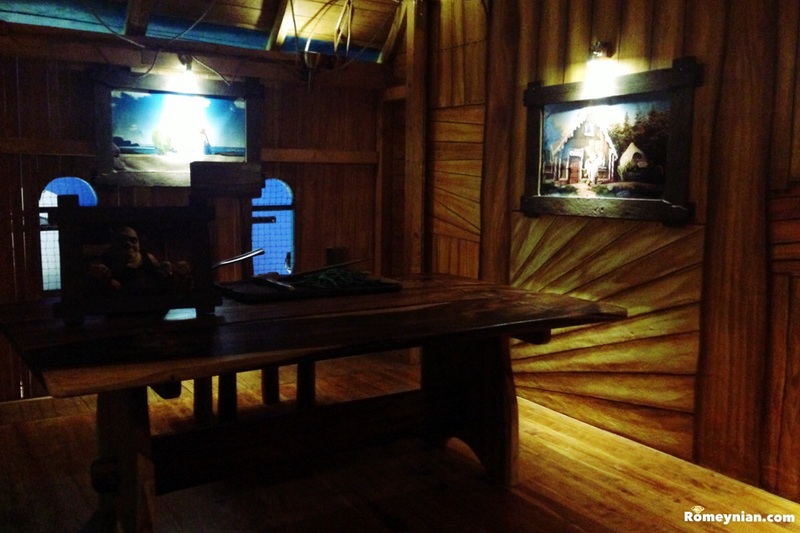 2 hours is just enough for picture taking and the allowed attraction. Speaking about picture taking bring your best camera because the place is a bit dark. I use my cellphone camera, so our pictures are grainy. Next time I’ll bring a DSLR. Let’s go to the fun part. The attractions!!! 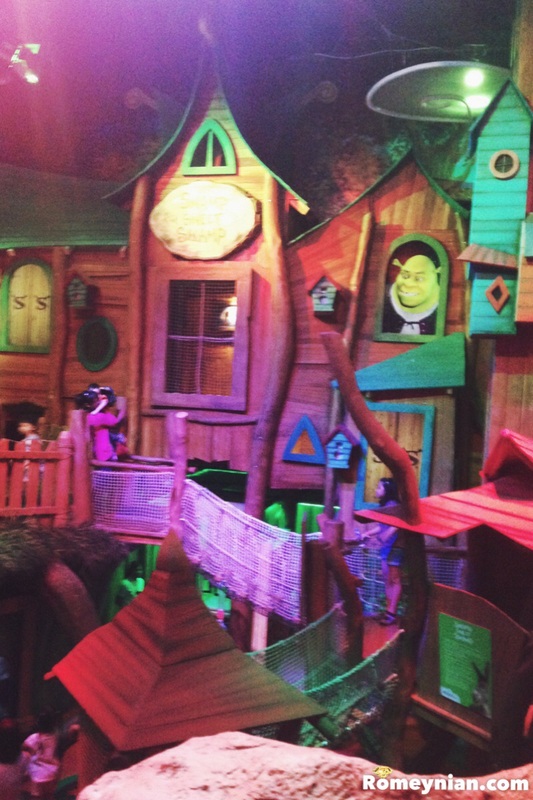 I’ll just post some of my favorite attractions so you can explore DreamPlay on your own. I don’t want to be a spoiler. One thing I can assure you it’s a great place and you’ll definitely have fun. Plus a lot more! Don’t forget to check the 2nd floor! How to get here? 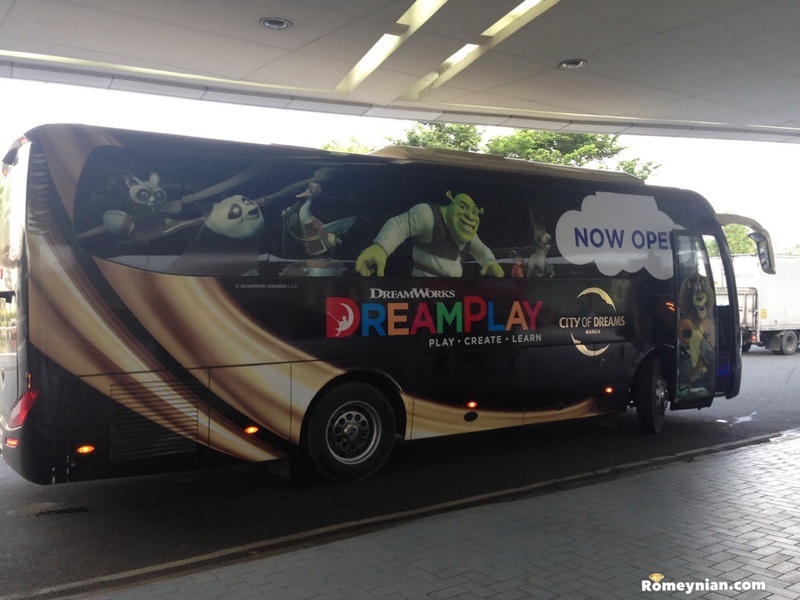 Take a ride to SM MALL OF ASIA, City of Dreams have a shuttle bus near the fountain right infront of the mall. Cheers to a God-given Sparkling life!